WINNER INVERTER,S UP / DOWN COMMAND SETTING 10, 11. It is the function to control the inverter,s output frequency through the control terminal,s on/off . when using this function please make sure to set the 2 multi function input up/down command .if only to set single multi function input the fault ope 03 will occur .besides in the occasion where acceleration /deceleration stop was both set (value a) ope 03 fault will occur too. b1-02 operation method selection please set it to be 1 (exterior terminal ) it won,t act except when it is set 1 . frequency ,s up/down to mimes or plus the time normally )c1-01 ~08 ). frequency up/down . when up/down , output frequency ,s upper limit and lower limit will be set as follows ,upper limit , maximum output frequency (e1-04) output frequency upper limit (d2-01)/100 . When the real arm of inverter,s overheat is on oh2 inverter overheat will be displayed . when it is off the display will come back to be the previous status , do not reset the prelim. 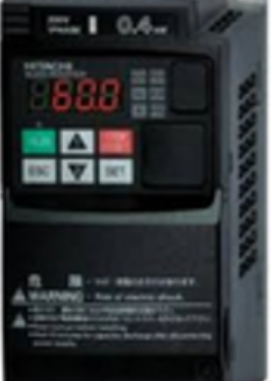 the inverter continue to work without fault detection please set according to the warning from the ambient temperature sensor .multi functional analog input options (setting,s ).off = multi function analog input is disabled. on = multi function analog input is enabled . on = v/f control without pg (it is non effective to control the speed with speed feed back ). pg speed control and speed control without pg can be switched exteriorly . it can be switched during the inverter,s operation . Speed control integration reset (valuate ) . off = it acts in the speed control circuit of proportional and integration control . on =it acts in the speed control circuit of proportional control ( integration value of speed control it is reset according to the integration constant ). In the occasion with pg v/f control mode this function is effective only when f1-07 ( integral action options of acceleration/ deceleration ) (non effective when acceleration /deceleration integration dose not act ) it can be switched over in the operation of inverter. Hey very cool site!! Guy .. Beautiful .. Wonderful .. I’ll bookmark your website and take the feeds additionally…I am satisfied to search out a lot of helpful info right here within the put up, we need develop extra techniques on this regard, thanks for sharing.